Following my post on Monday I had a dig around the local cinemas and the multis have gone completely mad. Is this the most number of screens showing a film ever? T Wells is showing HP 29 times on Sat & Sun, I worked out it’s on seven out of nine screens. That’s insane. It can only be as I surmised, sod the film, it’s just a siren song to get you in to buy more carbonated beverages. Rather like the way we let Tesco sell $150m blockbusters for £8.97 as a loss leader for bananas. Don’t you think we are rather undervaluing our key product? 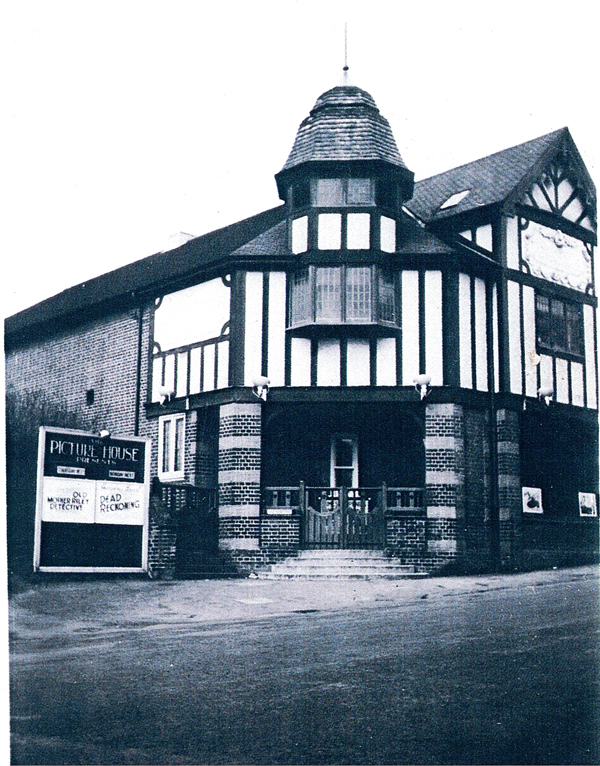 On a lighter note someone kindly dropped in this old photograph, which I have never seen, of The Picture House. It’s around 1947 as far as I can make out although it may be a year or two later as The PH was very behind release in those days. The poster shows Dead Reckoning with Humphrey Bogart and a crappy Old Mother Riley comedy as the main draw that week. It’s kind of the same but different. Here it is now, it’s a bit like spot the difference. Fascinating stuff. They also left an old programme from 1938 which I shall scan and upload later. If anybody out there has other pictures or stuff that I can borrow to scan or stories from the “olden” days then I’d love to hear them. It’s only five years to our centenary and our archive is rather empty, I have almost no old pictures and I’d love to have one of the old single screen interior. I can picture it in my head but until they finally release that recording thing from Brainstorm that’s no good to anyone. 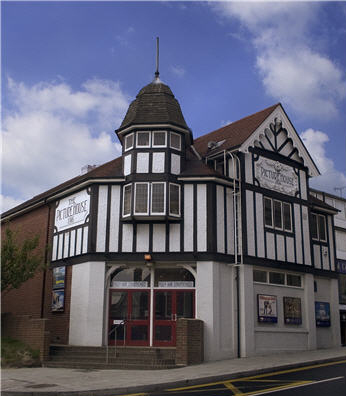 In the days when films were re-released on a regular basis, I remembering seeing a storming double bill on the single screen at The Picture House: The Dambusters and 633 Squadron. I can’t remember exactly when it was but it was definitely the sixties. Put those two on again for the centenary and I’ll be first in the queue for tickets. Why are war films so much better in the cinema than on TV? I could probably find the date for that double bill. I have records going back to when we came here in 1964. ALL films look better in the cinema. I was struck by how much more I saw in our recent screening of Apocalypse Now! having been used to it on a smaller screen over the last few years. Just back from France and there seems much to catch up on. This site seems to have improved somewhat.Good to see activity again. Loved your funny and acerbic and pertinent comments, Kevin! Re multiplexes selling us expensive, sugary gob stuffers, my husband and I have never been brainwashed by this. We’ve usually eaten our own dinner before coming out, and as we don’t need to eat for the rest of the evening when at home, why would we need to eat anything just cos we’re watching a film! That unfortunately means you don’t do well out of us at the PH, but we have bought a coffee from time to time. Further comments to come on your previous posts, and I’m looking forward to Jane Eyre and Tinker Tailor….